One of America's fastest-growing wireless carriers is a company you've probably never heard of: Tracfone Wireless. It's the U.S. arm of a telecom empire controlled by the world's richest man, Carlos Slim, and it's the biggest player in an increasingly lucrative market: subsidized mobile phones for low-income Americans. The subsidy became a political flashpoint recently thanks to an incendiary YouTube video featuring a Cleveland resident praising her free "Obama phone." Hype from the Drudge Report and conservative ringleaders like Rush Limbaugh propelled the video to nearly 5 million pageviews. The real story behind the phones is more nuanced than the 45-second clip. The subsidy is from a government-created program called Lifeline, which is paid for by customer fees on most phone bills. The program is overseen by the Federal Communications Commission, and has its roots in a universal access initiative that began in 1985, during Ronald Reagan's administration. Here's how it works: If you're eligible for other forms of government assistance like Medicaid or food stamps (the rules differ by state), then you qualify to receive a $9.25 per month phone subsidy. Participating wireless companies will typically offer a free phone (paid for by the company), with an allotment of Lifeline minutes each month. Lifeline subscribers can collect only one monthly subsidy, for either a landline or a wireless phone. Around 75% of them have chosen to go wireless. Where does the money for Lifeline subsidy come from? You. Take a look at your phone bill and you'll see a charge -- typically a few dollars a month -- for payments to the "Universal Service Fund." That's the umbrella program covering various ventures, including Lifeline, that are designed to make telephone communications universally available to all Americans. The government requires most telecoms to pay into the fund. The carriers then typically pass the costs on to their customers as a monthly surcharge. Last year, Lifeline accounted for 20% of the $8.1 billion Universal Service Fund distributed to support connections for rural areas, schools, hospitals and low-income individuals. There are 17 million households currently signed up for the program, up from under 7 million just four years ago. There are two reasons for the rapid growth. First, the recession dramatically increased the number of people who are eligible. Second, in 2008, during George W. Bush's administration, the FCC allowed wireless carrier Tracfone to join the program's list of approved providers. Tracfone has aggressively gone after Lifeline customers. It advertises its "free phone" on television, pays commissioned street teams to canvas low-income neighborhoods for new subscribers, and signs customers up through a splashy website that promises "250 Free Minutes Every Month! Pay Nothing!" The Lifeline cash is a substantial chunk of the $3.8 billion Tracfone generated last year in annual sales. The company is the American subsidiary of América Móvil, the Mexican telecom giant run by Carlos Slim, the world's richest billionaire. Lifeline customers aren't as profitable for Tracfone as traditional ones, but the streams are reliable and help expand the company's customer base. "The wonderful thing about the program is that individuals who no longer qualify for the phone keep the phone," says Jose Fuentes, Tracfone's director of government relations. "They can continue to remain Tracfone customers." Advocates say the program is an essential safety net: A telephone links people to emergency services, and it's almost impossible to get a job without a phone number. 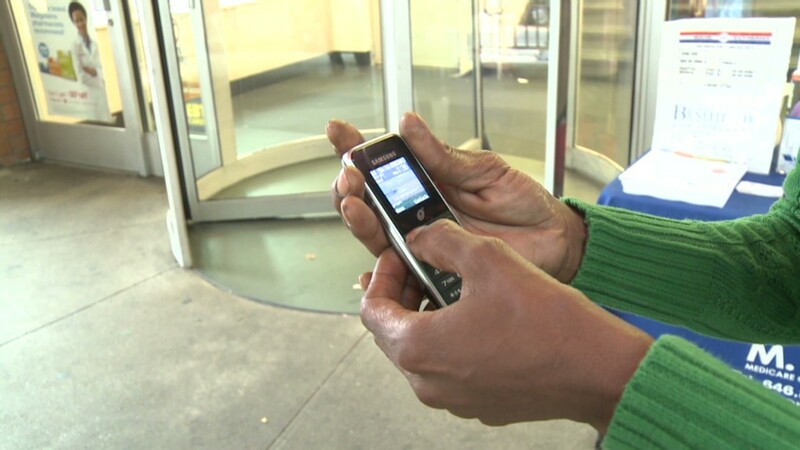 "I use it to keep in touch with my family and my friends, and work-related services like business appointments," says Kathy Jarrett, a Brooklyn, N.Y. resident who has been a Lifeline subscriber for four years. "If I didn't have a phone I would be a wreck." But in the days leading up the election, the booming Lifeline expansion is raising eyebrows. The program paid out $1.6 billion last year, more than twice the $772 million it spent in 2008. Congressman Tim Griffin, a Republican from Arkansas, blasted it as a "government-run, taxpayer-funded" boondoggle that's "riddled with instances of abuse." He introduced a bill that would drop mobile phones from the program. "That is one of the biggest misconceptions that are out there today, that federal dollars go directly to the Universal Service Fund," says Tracfone's Fuentes. "That is completely incorrect." Griffin's retort: "Consumers are forced to pay it, and where I come from, that's a tax." The FCC implemented anti-fraud measures earlier this year, requiring subscribers to prove their eligibility, canceling service if the phone is not used for 60 days, and preventing individuals from having multiple phones. The agency says it canceled 800,000 duplicate contracts and expects to save $200 million this year. Lifeline "wreaks havoc" in the competitive market, according to Roger Entner, the founder of Recon Analytics, a wireless industry research and consulting firm. Carriers targeting the prepaid market -- one of the industry's fastest-growing segments -- can't compete with free phones. But in the end, he thinks the safety net is worth it. "As a country we want everyone to have communications. Without a phone, you can't get a job," Entner says. "I'm sure that Lifeline has literally saved people's lives."